Sonos is a wireless audio system of HiFi speakers and components that lets you listen to music in any room with no skips, delays, or drops. 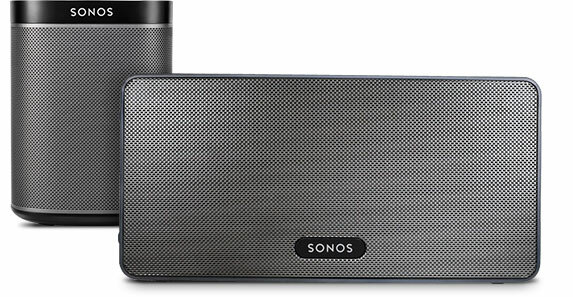 You place the speakers throughout your house and then use the Sonos app to combine and access your music collection. Individual songs can be listened to on each speaker or the whole system can play the same song. Sonos works with a variety of music sources. Wherever you like to get your audio—iTunes, podcasts, radio stations, Spotify, or Pandora—you can find it and file it into a dedicated local Sonos network through wireless or Ethernet connections and stream it to any Sonos device on the network. The Sonos system creates a dedicated path for playing audio which means you get smoother playback. The Sonos system can be controlled by PC or Mac desktop applications, or apps for iOS or Android. Having a computer-based system means that you can customize all the playlists and music you want to hear. It’s like having an iPod in every room of your house that plays all the music you like—with great quality. The Sonos system consists of Zoneplayers and Controllers. “Zoneplayer” is the Sonos name for an element which outputs audio either via digital or analog connections or via speakers. 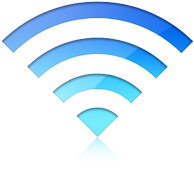 Zoneplayers can be set up through wired or wireless connections. The Controller is the Mac/PC or mobile phone that runs the Sonos app. If you have a home where WiFi doesn’t reach everywhere, you can use the Sonos BRIDGE to extend the range of your Sonos network. The BRIDGE also creates a dedicated wireless network for your Sonos system. The BRIDGE plugs into your router with an Ethernet cable. If you’re in an environment where the WiFi has performance challenges, you can use a BOOST—it’s like a super-charged BRIDGE. For speakers like the PLAY:1, PLAY:2, or PLAY:3 you can simply plug them into the power outlet and they will wirelessly connect to your existing WiFi network or your dedicated Sonos network (if you have the BRIDGE or BOOST). Place your speakers in the rooms where you want to listen to music. Then download and install a Sonos Controller app. You can access your entire music collection from anywhere in your house with the Controller. Follow the quick set-up guide that comes with the system and simply tell the Sonos app where the Zoneplayers and music library are located. Last, but not least: play music! You can use any Sonos Controller to make music selections. Choose a music source from the Sonos music menu on a handheld controller, or from the MUSIC pane if you’re using the Sonos Controller App for Mac or PC. You can tell the system to play the same thing on every stereo that’s linked to it or you can have a different playlist or source going in every room of the house. Once you’ve got your system set up, you can easily add more Sonos products whenever you want. Only one part of the Sonos system needs to be linked with your home network; the other components link together directly. Since the Zoneplayers each transmit individually, each player you add increases the range of the Sonos network. The main benefit of the Sonos system is that it delivers HiFi audio while really simplifying wireless streaming. The Sonos app lets you easily control the system and access a variety of music sources. 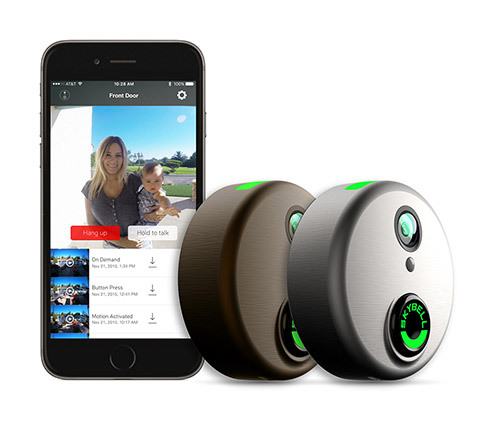 There’s no need to link your phone with any of the individual speakers—all the speakers are controllable through the same app, no matter where in the house they’re located. Sonos uses their years of wireless networking know-how to make sure your music is in perfect sync and skip-free. It’s also super easy to get it going and new features are constantly being developed that work even with some of the oldest components. 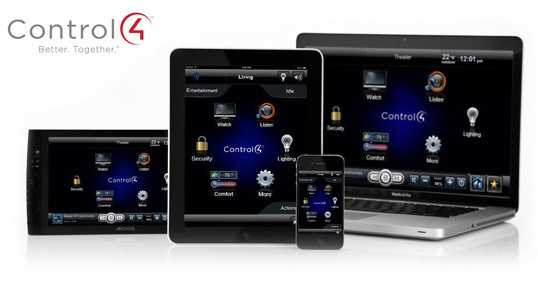 Contact Secur-Tek today to find out more about the benefits of Sonos in your home. 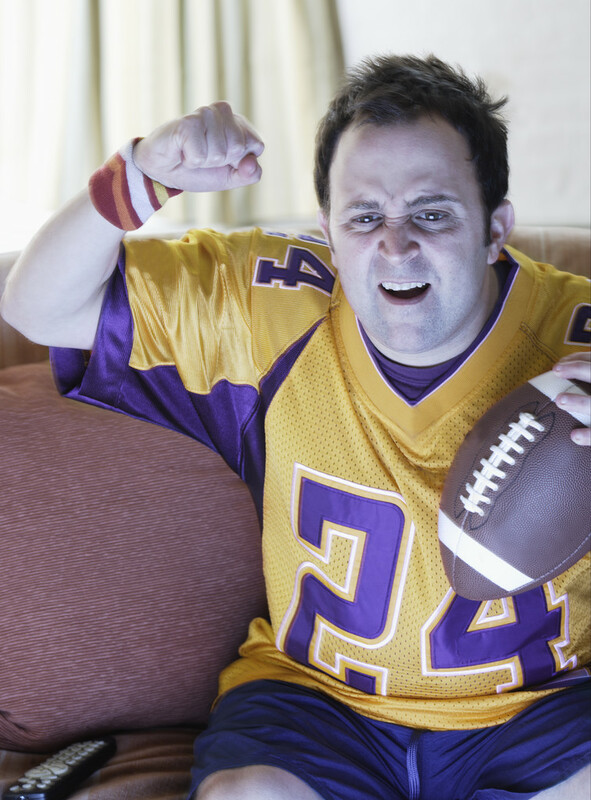 Upgrade Your TV Room – Superbowl 2015 is Coming! You get three hints: (1) Glendale, Arizona…. (2) February 1, 2015…. (3) Home of the Arizona Cardinals…your final answer? If you replied, “What is the Super Bowl?” give yourself a high-five! There’s little doubt you had difficulty knowing the answer to those hints… after all, football is America’s favorite pastime. As we approach Super Bowl XLIX, you’ve probably already cleared that entire Sunday, have a list of buddies you’ll have over, and made plans for the kids to be just as entertained as you surely will be. Football is a huge part of American culture. Scroll through the news online, turn on the TV or the radio, and there’s news, commentary and articles about the game or the players on or off the field. We can’t get enough of the sport or its athletes. Come Mondays, Thursdays and Sundays, life comes to a standstill while you sit in front of your television set watching as your favorite team tries to move 80 yards down the field to score the winning touchdown. Here’s another countdown for you: there’s less than 2 weeks ’til Black Friday, the biggest shopping day of the year with sales on everything from apple pies to zebra-striped socks and everything in between, including large-screen, ultra high-def TVs. What better time to indulge and update your entertainment system? If you take advantage of the upcoming holiday sales, and bring home new components for your TV room, but find that you may need a hand getting everything set up, Secur-Tek can help with the placement, the wiring and the overall set-up of your new television and any other equipment (even projectors for full-wall viewing) so that you can get the most viewing pleasure from your new devices. Most importantly, you’ll get the experience of watching your favorite football team take down its competition and take it all the way to Glendale, Arizona for Super Bowl XLIX! Call 919-387-1800 for more information on how Secur-Tek can take care of all your TV and Media Room installation needs. First the laptop, then the smart phone, then the tablet, even the newer refrigerators, and now the smart TV. Technology and the Internet have become entwined with so much of our lives (and electronics). If you’re a smart TV owner, you can appreciate the beauty, the ease, the reach of your technologically savvy television. You can stream movies and videos, watch Netflix and YouTube, check your email, update your social media accounts, and surf the Web, all on a large screen. Convenient, easy on the eyes, crisp and clean clarity… unless you get the message that you cannot connect to the Internet. However, a smart TV’s inability to connect to the Internet through a poor network signal, even though all our other wi-fi devices are connected, defeats the whole purpose of having one. 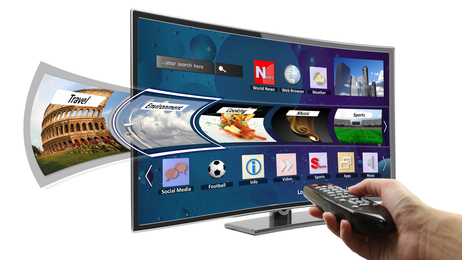 There are several reasons why your smart TV may fail to connect to the Internet or have a poor network signal. Most homes with wi-fi can accommodate standard devices (smart phones, computers, laptops) getting online; but smart TVs require more bandwidth than your standard devices. And multiple devices drawing from the same network signal source could affect the speed of the signal. Other obstructions to your smart TV gaining access to the Internet can be metal objects or walls in the house. Fear not. There is a solution. You can boost your signal strength using a range extender, which can extend the range of your wireless network by 10,000 feet by repeating and amplifying the signal. 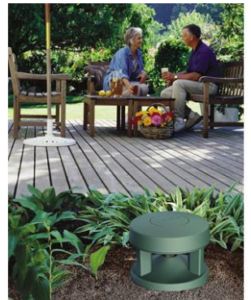 The increased strength not only allows you greater distance, eliminating those dead spots in your house, but also allows the wireless signal to penetrate walls and other obstructions. With a range extender, your smart TV should have no trouble getting a signal; and, of course, once online, you’ll be able to take full advantage of all the wonderful features of the TV. For more information on signal boosting, call Secur-Tek today at 919-387-1800.